I’ve just hit 12 on my Goodreads total for the year so far and I’m really pleased with the variety of titles I’ve managed to tick off my list. I’m trying not to read two consecutive titles from the same genre and it’s turned out to be a really fun reading habit to get into. 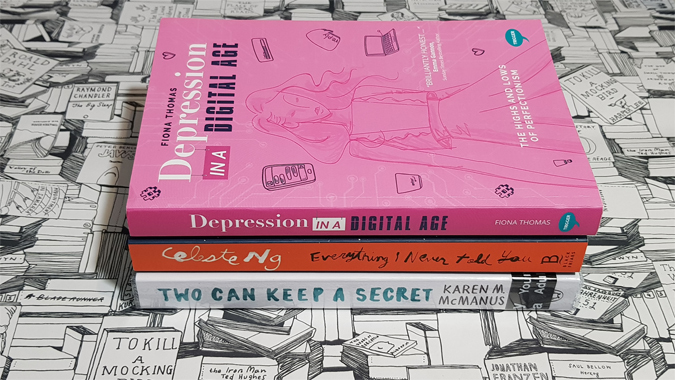 Recent reads include a new young adult release, a book club favourite and a mental health non-fiction. Here are some mini reviews. I read One of Us is Lying last year and thought it was great. I loved the Breakfast Club meets The Social Network vibe (with a possible murder on the side) and I followed the writer on Twitter to keep an eye out for future releases. She certainly upped the ante with the thriller factor this time round. 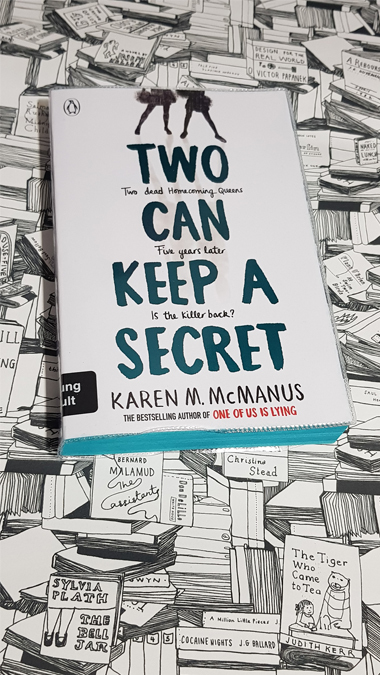 In Two Can Keep a Secret, Ellery moves to Echo Ridge to stay with her gran while her mum’s in rehab. The town has quite the history – her aunt disappeared twenty years ago and the Homecoming Queen was murdered five years ago. Now someone’s claiming to be targeting the next homecoming queen – and Ellery’s made the shortlist. When one of the girls goes missing, the race is on to finally uncover the town’s secrets. I love an unpredictable thriller and enjoyed this one even more than its predecessor. I also really liked the subplots highlighting what it’s like to grow up BAME and LGBT in a small town. Bring on the next book! I bought this one over a year ago and it’s been waiting patiently on my TBR shelf ever since. 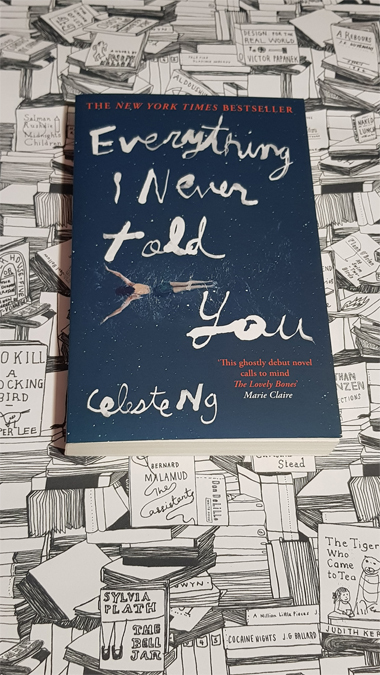 I wanted to read it because I loved Celeste Ng’s follow-up, Little Fires Everywhere, and her writing is reminiscent of my favourite writer, Jodi Picoult. Here, a family’s world is torn apart when sixteen-year-old Lydia’s body is found in a lake. The police think it’s suicide, her brother thinks it has something to do with the boy who lives across the street, and her mum wants answers. Ng has family drama down to an art, exploring each character in detail, from the Chinese father who just wants his children to fit in, to the youngest child who acts as silent observer. It’s the mother who broke my heart, so desperate to be nothing like her own, and eager for her daughter to have the life which she couldn’t quite obtain. It’s a fascinating and haunting exploration of familial pressures and expectations. Despite being set in the 1970s, it feels surprisingly current. Ng has become one of my favourite contemporary writers. I reviewed Geek Magnifique just before Christmas, a new release from Trigger Publishing (and written by a friend of mine). Trigger has become one of my favourite indie publishers, working to dispel the myths surrounding mental health with their inspirational series, focusing on overcoming adversity and thriving. 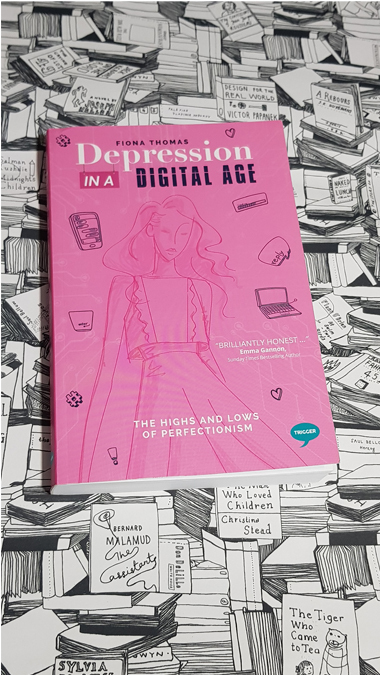 I spotted an Instagram giveaway for the release of Depression in a Digital Age and was so pleased to win a copy. I wasn’t familiar with Fiona’s blog beforehand but now I’m a devoted follower – I’m also trying to make time to indulge in her new positive podcast. Her book goes into detail about her breakdown, how she reached that point and her road to recovery. It’s raw, honest and relatable AF – and peppered with fabulous 90s references. While it’s easy to dwell on the negatives of social media and online communities, I love that Fiona chose, for the most part, to focus on the positives. The internet can be a wonderful place and there is a lot of support available if you look in the right place. It’s wonderful to see the mental health blogger community thrive. I bought a copy of Fiona’s book in December, but I’m yet to read it! Congratulations on winning your copy :) Based on the blurb and your review, I think it’s going to be something I really enjoy, though. It’s so good. Have you read Geek Magnifique? Trigger are doing great things in mental health publishing.